The Grove Resort Condos for Sale - Sacks Realty Group Inc. The Grove Resort & Water Park is the most exciting vacation home resort in Orlando providing incredible vacation and ownership opportunities. 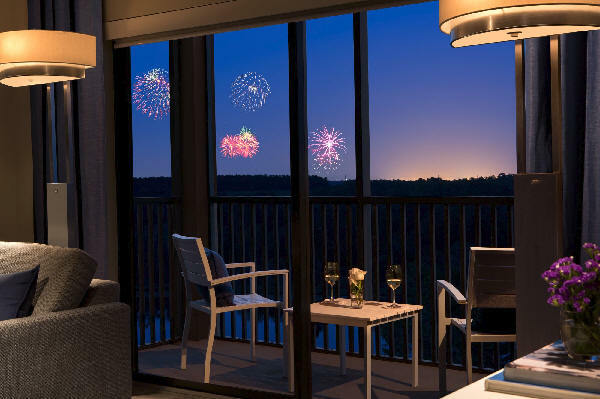 Located just 5 minutes from Walt Disney World®, The Grove is a luxury resort featuring numerous amenities perfect for those seeking to create family memories that last a lifetime. This lush oasis includes a world-class water park, luxurious 4-star, full service lobby, multiple pools, onsite shopping, restaurants and lounges, fitness center and a full-service spa. The Grove is the perfect combination of luxury, amenities and family fun for both owners and vacationers. Full Ownership. Use the resort as your personal vacation home, and when you're not here it is rented out for you. World-class theme parks including the renowned Walt Disney World® and Universal Studios are at the center of the magic and adventure of the most visited place on earth. As a vacation home owner at The Grove Resort & Water Park, our residents are at the heart of every major attraction in Orlando. From daily shuttle service to theme parks, to views of the spectacular nightly fireworks, we ensure that the opportunity to make lasting memories is right outside your doorstep. Make a Splash at Surfari Water Park! Surfari, your very own on-site water park, offers something for everyone. Ride the lazy river, catch a wave on the double FlowRider® surf machines, or take the plunge off our dueling two story water slides. For our smaller guests, the kid’s aquatic jungle offers endless fun and timeless family memories. After you dry off, drop by Longboard Bar & Grill for burgers, Hawaiian BBQ and a craft beer of your choice. Finish your action-packed day relaxing at one of our private cabanas. There are so many ways to play onsite at Orlando’s best resort water park! A luxurious 4-star, full service lobby. While on vacation, owners at The Grove enjoy all the benefits of this incredible vacation home resort. When you’re not using your residence, place it into the professionally managed turnkey hotel rental program to help offset costs. The Grove Resort provides hassle free vacations, and stress-free property ownership. The Grove Resort and Spa is an 872 room, 2 and 3 bedroom, condo hotel located on over 115 acre site in a prime position in the Disney Orlando area, just minutes from Walt Disney World. Adjacent to the resort is Lake Austin’s 20 majestic acres and boast a full offering of resort style amenities including a luxurious lobby, bars, lagoon pool, lazy river, surf simulation pool, full-service restaurant, spa and much more! Owners have the opportunity to stay at their residence while on vacation and the option to place it into a rental program, professionally managed by Benchmark Hospitality, one of the nation’s leading hotel management companies.